We have powered up our company’s social presence! Check out all of our helpful articles about dental equipment repair and maintenance. Come check us out on Facebook and recommend us to your friends! John C. Wiltrout, the founder of R-Tech Dental, wrote an article titled “The Truth About The Independent Dealer”. He describes what it is like to be a small independent dental service company growing in an environment where large corporate competitors play and manufacturers limit who can and cannot buy their equipment and parts. The entire copy of John’s article can be found HERE on page 18 and 19 of Proofs January 2012 issue. As always, R-Tech Dental thanks ALL of our doctors for their continued patronage and support. We’ve got your back and you thankfully have ours! CDC recommends sterilizers are tested at least weekly with a biological indicator and every pack with an internal and external chemical indicator. R-Tech Dental is an authorized dealer for SPSmedical, which has a wide variety of biological indicators, chemical indicators, packaging and recordkeeping products for all sterilizer types! With R-Tech and SPSmedical, you can avoid being that guy by inexpensively verifying sterilization of your instruments, and ensuring that level of safety for your patients. SPS SSI-100 STEAMPlus Class 5 Integrator – Can be placed in each bag or in each load for verification of sterilization. Until recently the failure of an Electric High Speed Handpiece attachment has meant two to eight weeks of down time and repair costs in the area of $600.00. This was caused by the tight control of parts and tools by the handpiece manufacturers. The manufacturers typically replace all internal parts when the handpieces come to them for repair. R-Tech has been working hard to locate the tools and the parts needed to improve the problem with these high costs and extended down times. We are glad to let you know that we are presently able to repair a percentage of these handpiece attachments like the Kavo 25 LPA and LPR as well as W&H 99, Bien Air CA1:5, and NSK Ti 95. By using special tools and techniques we can replace failed bearings in these handpieces. We have located sources of the highest quality ceramic bearings so that our repairs are durable and on a par with the OEM repair facilities. Furthermore we can repair your handpiece the day we receive it and get it back to you immediately. We have the best chance of effecting repair of one of these handpieces if it is sent to us before there is a total failure of the head. When there is a total failure the gears become damaged and the attachment must be sent to the factory for the $600.00 treatment. Here are the signs of early failure so you can catch the handpieces in time for us to replace just the bearings. #1 Black colored oil or debris coming from the head area. #2 Eccentricity in the rotation of the bur. This will probably be felt as a vibration when cutting before it is visible. #3 Any axial movement of the bur. This can be tested by inserting a bur in the chuck and then pulling and pushing back and forth. If a looseness is felt a failure is impending. 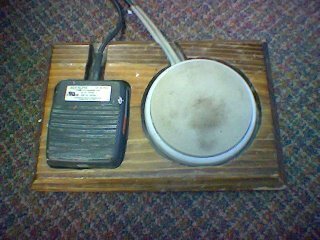 #4 Unusual noise or grinding. If you watch for these symptoms and catch the problem early you will increase the percentage of handpieces we can fix and avoid sending in to the manufacturer. All handpieces sent to us for this repair are opened and inspected to determine that the gears and support parts are in good enough shape to justify bearing replacement. Damage to the gears or support structure still requires that the handpiece be sent to the manufacturer for service. There is no charge for the inspection if the handpiece has to be sent in and we continue to offer a discount on the factory repair costs. If you are looking for a good way to test your dental unit waterlines to determine if they meet CDC guidelines of less than 500 Colony Forming Units / mL then look no further. We have the solution for you! 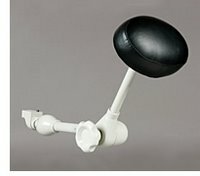 Have you seen the other end of your patient chair recently? You know, the end of the chair that your patient’s feet come to rest upon? 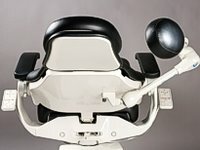 Most dental patient chairs have a clear plastic cover that protects the fabric of the chair from the dirt, grime, water, and snow that is tracked in by your patients. How does your toe cover look? Is it torn? Is it yellowed? Does it detract from the appearance of the chair that is was designed to protect? We are pleased to announce the addition of the “ToeSok” from Parts Warehouse. The ToeSok easily slips onto the end of your chair and is held in place by elastic on the underside. The ToeSok is as easy to install as sliding a sock onto your own foot. They look great and protect your chair. We have the ToeSok available in our online store. If your chair’s toe covers look ratty, I encourage you to check the ToeSok out. We are happy to announce that the Red Wing Dental Care Clinic, with our help, opened on May 26th 2011. They have a total of three operatories and digital X-Ray capabilities. They are treating the underpriveledged. The clinic is grateful for the leadership of the Administrative Director – Neela Mollgaard, The Dental Director – Dr. Nancy Bremseth, and the participation of local dentists and dental health professionals. Our comprehensive, high-quality, family oriented general dentistry office is looking for an associate to cover a maternity leave, leading to a full-time position once the senior dentist returns. For the right doctor, this will become a buy-in opportunity very quickly. Our three doctor practice enjoys a loyal patient base, numbering over 6,500 active patients. On average, we see approximately 50 new patients a month. With computers in each of our 12 operatories, we utilize digital radiography, Hoya ConBio laser technology, Diagnodent and intra-oral cameras to offer our patients the latest that dentistry has to offer. Winona is an outdoor lovers paradise, offering all the recreation anyone could ask for. With award winning schools, excellent hospital and clinic system, as well as two major universities, Winona is an excellent place to raise a family. Nestled between Rochester, MN and La Crosse, WI, you can enjoy all the luxuries of the larger cities and all the comforts of smaller town living. 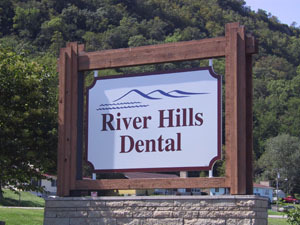 For more information, please contact Jenny Miller at River Hills Dental, 507-452-9453. They thoroughly and totally pervade our lives. We eat them, we breathe them, they live in our bodies, and we can not live without them. They have been found miles deep in the earth and at the bottom of the deepest ocean. In the wrong place with the wrong kind they can cause you to sicken and even die. I speak of course of bacteria. With the ability that bacteria has to find and exploit each little niche in the environment it is no surprise that I have found myself battling them continually over the last 25 years. In the early 1980s the dental delivery systems in use could not have been better designed as housing for bacterial if that had been the original intention. By this time the large Ritter and SS White delivery systems with the belt drive handpieces on their tops were on the way out and we were in the time of the plastic delivery system. Strange as it may seem the older units with lots of metal piping and rubber hosing did not support the growth of bacteria. Furthermore the speed of the old belt drive drills did not require water cooling so water lines were kept to a minimum. If the mouth needed to be flushed the dental unit had a glass of water sitting on it from which the patient would take a mouth full, swish, and spit into the cuspidor. The water to fill the glass was delivered in naturally bacteria resistant copper and brass piping. If the dentist did use his water syringe the water was supplied in a rubber tube that must have also been bacteria resistant since I never had to clean one. Enter the highspeed handpiece with its critical need for coolant water and everything began to change. The era of the plastic dental unit had begun. Water was being supplied from the municipal water system but once to the unit all the piping was done in vinyl and polyurethane plastic tubing. Bacteria loves plastic water lines. The first infection of bacteria builds a housing development on the inside of the hoses called a polysaccharide matrix. After this matrix is in place a flush of Clorox is very much like cutting the grass. As soon as the Clorox is gone the bacteria emerges from hiding and goes on growing. A further complication was that almost no dental units used a clean water system. Even if the clinic wanted to flush Clorox into its water lines it could not since they were hooked directly to the building water lines. The usual procedure was to wait until the bacteria totally clogged off a water line to a syringe or a handpiece and then call R-Tech. There was no question in anyone’s mind that a problem existed. We developed techniques to clean the water lines and many clinics put us on routine maintenance schedules so that their lines would be as clean as possible. We began to use check valves in handpiece lines to minimize the introduction of patient induced bacteria into the lines. While the bacteria in the water lines was a nuisance it wasn’t in most cases a threat to the health of the patient. We all take in bacteria every day and in most cases they are benign or can be dealt with by the body’s defenses. Some of our more proactive clinics began to install clean water systems so that they could routinely run a Clorox rinse through the line. While this did not eliminate the bacteria or the matrix in which they lived it was a good control and at least kept the number of service calls down. While the problem of the bacteria in the plastic water lines of the dental units had been present since the 1970’s it really didn’t come to the attention of the public until the late 1980’s when one or more of the TV networks investigative programs like 60 Minutes ran exposé’s on Dentistry’s Dirty Little Secret. Over night patients were asking hard questions and demanding cleaner water and handpieces that had been sterilized. I remember wondering if the people criticizing the dental profession were as concerned about the spoons and forks they ate off in restaurants that had only been dipped in warm soapy water between diners. For good or bad the train had left the station and sterilization and water control had to be addressed. At this time many of the handpieces in use were not designed for repeated sterilization. New handpieces had to be bought and new techniques had to be developed to keep the handpieces lubricated and durable through multiple sterilization cycles. Millie and I tried to do our part inventing and patenting the handpiece flush station now marketed by DCI International which helped prolong handpiece life by providing proper lubrication and cleaning of handpieces before and after sterilization. Gradually over the next several years almost everyone went to clean water systems and began Cloroxing their lines on a regular basis. We still did not have a solution to the problem of the bacterial matrix and the fast recovery of the bacteria in the lines but when done on a regular basis with handpiece sterilization bacterial counts could be kept within safe levels. Now that a market was available for a dental water line cleaner the chemists began to come up with better and better chemicals to clean and treat the water lines. Today most of the cleaners not only kill the bacteria but also dissolve the polysaccharide matrix thus greatly lengthening the recovery time of the bacteria. Also the new chemicals do not corrode and damage the metal parts of the delivery system as fast as Clorox. Some manufacturers have even developed plastic tubing that is resistant to bacterial growth. Today the modern dental operatory with its clean water system, anti-retraction valves, water line treatment chemicals and handpiece sterilization is cleaner and safer than ever before. We at R-Tech have gone from four or five clogged water line calls a week to perhaps four or five a year. While I am sure we have not heard the last from our constant bacterial companions we have won this battle. We have the technology at this point to very effectively control the bacterial counts in your water lines. If you wish to verify that you are doing the right things to be part of this solution here are the things to check. #1. No water that goes into a patients mount should be fed by a line attached to the city water system. Clean Water Systems are a must for the proper control of your water quality. #2. A water line treatment plan should be in effect. Each chemical manufacture has their own instructions for proper procedures. We recommend a product called Mint-A-Clean because of its ease of use, effectiveness, and minimal impact to the metal valves and fittings of the dental units. #3. All handpieces and attachments should be sterilized. Be sure to follow lubrication and flushing procedures to maximize the life of your turbines. Syringe tips should be flushed and sterilized or disposable tips can be used. #4 While the new bio resistant plastic hoses are nice they are not considered a necessity if the #1 and #2 are followed. Please call any of the technicians at R-Tech if you have any questions on improving your water control or treatment plans. And within a couple days a new replica will be returned to you. If you have questions just give a call at 715-723-0737. Other information about our chair recovery services can be found by visiting our chair re-upholstery page. Just to make it as easy as possible for all of our clients, I’m constantly updating our X-Ray Calibration Section of our website, which is located under the R-Tech Services Tab. It is chock full of MDH documents, record sheets, bulletins, calibration records, shielding forms, and contact information for other individuals that can help you comply. I have tried to organize it in such a way that you will find it easier to find what you are looking for instead of hunting for it on the MDH website. Please feel free to email me with any suggestions for improvement or inclusion! mike@rtechdental.com Cheers!